A true master piece in design. A picture, perfect property in the Culbreath Isles community in South Tampa. It has easy access to St Pete and Clearwater, all Pinellas beaches, Tampa schools, International shopping mall, churches, International airport, downtown Tampa and only 1 Â½ hours to Disney. 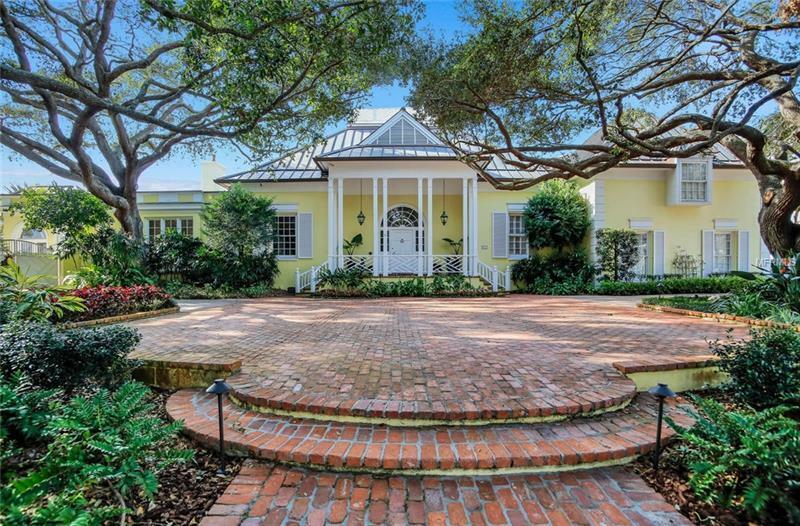 This beautiful Colonial Bermuda style home sits on a lot and Â½ of open bay and canal a corner lot. This beautiful home is spread over the entire property with yacht protection on the grand canal. The formal garden with fountain and an orchid greenhouse is lush when flowers and foliage are in bloom. As you enter the main house one walks into an elegant foyer with high ceilings, over 12â, and staircase leading to magnificent living room with printed high ceiling walks into an elegant foyer with high ceilings, over 12â, and a staircase leading to very 12âwith magnificent living room with printed high ceiling and palladium arched windows overlooking Tampa Bay and sunsets all year around. The arched molded doorways and built in shell arched cabinets, the fireplace, all give this room an elegant warmth. The separate dining room with fireplace, palladium arched Bayfront windows and beautiful molding is very intimate for formal dining. The kitchen is not just a kitchen, it is hexagon granite limestone and cream wood designed with double high ceilings looking to a large and bright glass sky light. There is a magnificent built in colorful gourmet gas encased cook top with cabinet and hood. See supplement attached.